One of our servers, a certifiable beer geek and always one to selflessly volunteer for independent research, recently filled a shopping cart at the LCBO all in the name of science….well, not really, more like ‘Beech Tree Science’. Either way, he was searching for the next interesting brew to offer at the Beech Tree in bottle format. A little back ground: when we first opened our doors what seems like an eternity ago (it has not even been a year), we had four bottles of wine available and four beers on tap. That was it. No liquor, no ciders, no sparkling wine, no bottled beer and definitely no cocktails. Every thing has to start somewhere, and that is where the Beech Tree started. Over time, more and more bottles started to appear behind the bar and cocktails were added to the menu. Our wine list now boasts many, many varieties along with champagne. Our head bartender continues to curate our repertoire with house-infused liquors and a carefully selected wine list for which you can not find a single bottle on a store shelf in Ontario. Our four craft beers have been juggled a few times, but we are slowly settling down to three regular drafts with a rotating tap to bring in seasonal fare. For example, we have poured Left Field’s Summer Saison recently, and then switched up to Beau’s All Natural Festivale. This tap will soon have an autumn brew on offer. The next step was to bring in bottled beer. One of our wine merchants, a former punk rocker of all things, introduced us to a few quality products including McLean’s Pale Ale from Grey Country, Ontario and a locally made cider called Coffin Ridge. Both are now on our menu. Anyway, back to our resident beer geek. A few months back he noticed a very special edition of Innis & Gunn in the LCBO. For those who have not had the pleasure, this is a Scottish beer that is aged in bourbon barrels. It has a higher alcohol level than a typical brew and is very distinctive tasting, taking on many of the whisky notes from the bourbon barrels. It has a lot of loyal fans around the world (Interestingly, the best selling British beer in Canada.) Anyway, this special version was being sold by the individual bottle, packaged in a tidy cardboard box. This I & G product was in part developed by Heston Blumenthal’s Hinds Head Pub in Bray, England. Given the importance of Blumenthal’s cooking style with regard to our own food ethos, it was a perfect fit for the Beech Tree. However it was a very limited edition bottle with only so many available in Ontario. Once it was gone – it was gone. So we proceeded to acquire every one we could get our hands on and offer them at our restaurant; this involved lugging multiple cases of beer on public transit – quite the adventure. As David Ashton-Hyde (The Hind’s Head bartender) suggested, we served the beer in a brandy snifter with an aerating pour (a fast pour without tilting the glass). So true to instruction, once ordered, the beer was delivered to the guest, unpackaged and poured into the snifter table-side with dramatic flourish (our bartender Vanessa, a very tall girl, could get an arc of beer flowing into the snifter almost the length of her arm – quite the sight). It was positively smashing. Needless to say, they sold out rather promptly. All good things must come to an end and as it stands, there are no bottles left within 100km of Toronto. This experiment opened the door to bringing in other new and unusual bottled products – thus the independent research by our suds-loving employee. 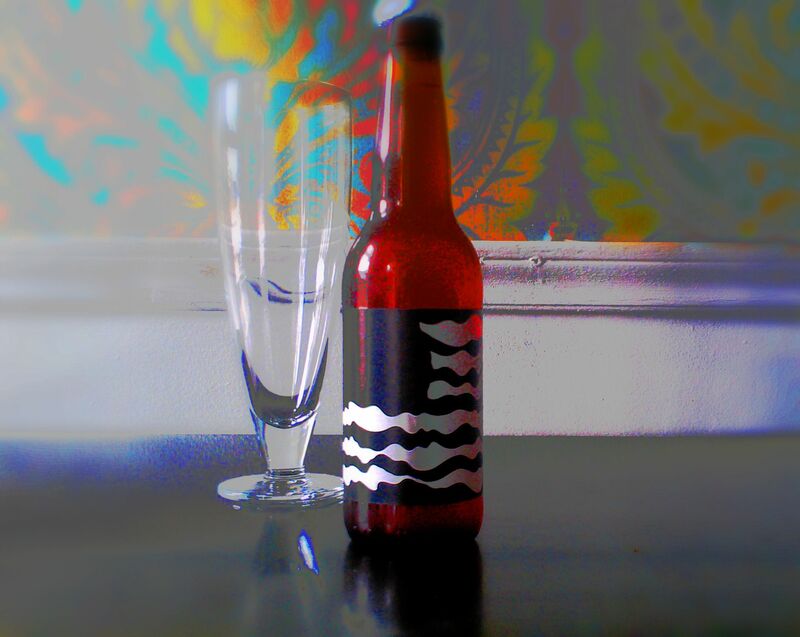 After quaffing who knows how many bottles and cans of beer in his ‘laboratory’, he returned with a triumphant recommendation: a high proof American-style double IPA from Swedish brewers Omnipollo. It was certainly obscure, and not something that one would expect to see popping up on the menu of a small neighborhood restaurant. Nevertheless, we bought in. The packaging is slick and trendy with a minimalist, monochromatic label on a dark orange coloured bottle. The imagery is a take on a billowing American flag – likely a nod to the brewing style’s Yankee origins. The front of the bottle lacks naming, titles or anything else that might indicate its brand or origin. If one takes the bottle and rotates it a half turn, the horrible truth is learned. 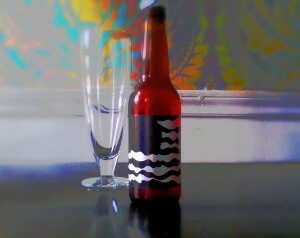 This beer is called Nebuchadnezzar. Try saying that seven times fast. Why it has this name is not known to me but it is seriously unique: an ancient Babylonian King’s name for an American take on a Anglo-Indian style of beer brewing made by a Swedish company and sold in a Canadian restaurant. Did I mention it has 8.5% alcohol? I had been told by various wine merchants that selling the grape variety Viognier is difficult because people aren’t sure how to pronounce it. Nebuchadnezzar, by comparison, is a much more solid mouthful to spit out. Chef was convinced he’d heard the name as a villain in an Indiana Jones movie….or was it the Goonies? The beer presented a marketing challenge. It is an outstanding beer. Somewhat cloudy on the pour, it immediately hits you with crisp aromas of grapefruit and other citrus. Despite being an IPA, you don’t receive a hoppy left hook to the chin the way a lot of the more recent uber-bitter, hop-crazy brews do. The bitterness is subtle and enjoyable. The finish is light and the drink-ability simply does not suggest the whopping 8.5 percent alcohol lurking in the bottle; definitely a beer to be enjoyed and savoured slowly. But that name! What were we going to do with that? Well, nothing really, except give it a nickname. It will thusly be dubbed ‘Neb’. So if you find yourself in the Beech Tree and you really want to try something new and unusual, just ask for a “Neb”. You’ll be glad you did.